Comments: 5-LP box set. 1981 release from Italy in excellent condition. The box has some light yellowing to the spine, but the rest is bright and clean, with just very minor rubbing. 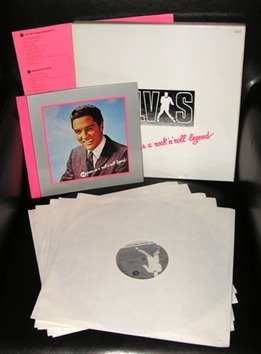 The contents are in pristine, as new condition, and everything is there: the track sheet, the colour booklet (including lyrics and a great layout), the 5 LPs, all unplayed and mint. Note that this is the original Italian silver grey and white label release, not the later orange label re-release.